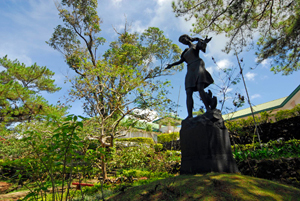 UP BAGUIO FACULTY RESEARCH AND PUBLICATION DATABASE. In UP Baguio’s aim to disseminate the knowledge that we have produced over the years, we are uploading this Database, the latest section of the UP Baguio website. Herein are the completed researches, creative work and publications of the faculty of the College of Arts and Communication, College of Science and College of Social Sciences. The database contains the abstracts and bibliographic information on academic and creative work on various topics in the Humanities, Social Sciences, Natural Sciences and Mathematics. Copyright © 2019 Research and Publication. All Rights Reserved.